5 Reasons Scanning is a Must! Problem:With thousands of sku’s very close in size and other attributes, picking and shipping the wrong thing is very common- and customers are not very happy when they receive units that are different from what they actually ordered; not to mention the waste associated with now needing to expedite the correct unit(s) to them. 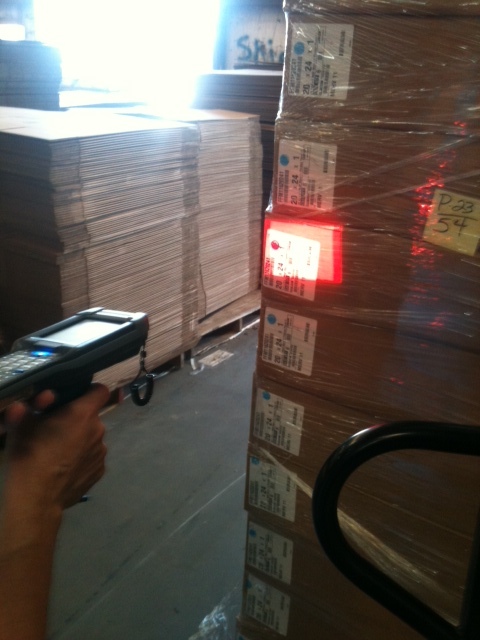 Answer: Scanning of course! In the pick/ship process the pick slip is scanned and then each 2D box label bar-code is scanned, verifying all items about to be picked against line items and quantities associated with that pick slip. Happy customers receiving the correct items and quantities on their orders.